12V DC 40A continuous duty SPDT Bosch type five terminal power relay. Normally open and closed contacts rated at 40 Amps. 1/4" wide push-on connector or wiring connector tabs. Connection tabs are numbered for easy wiring identification. 12V DC 40A continuous duty SPDT Bosch type five terminal power relay with mounting tab. Normally open and closed contacts rated at 40 Amps. 1/4" wide push-on connector or wiring connector tabs. Connection tabs are numbered for easy wiring identification. 12V DC 60A continuous duty SPDT Bosch type five terminal power relay. Normally open and normally closed contacts rated at 60 Amps. 1/4" wide push-on connector or wiring connector tabs. Connection tabs are numbered for easy wiring identification. 12V DC 60A continuous duty SPDT Bosch type five terminal power relay with mounting tab. Normally open and normally closed contacts rated at 60 Amps. 1/4" wide push-on connector or wiring connector tabs. Connection tabs are numbered for easy wiring identification. 12V DC 80A continuous duty SPDT Bosch type wide-pin five terminal power relay with mounting tab. Normally open and normally closed contacts rated at 80 Amps. Two 3/8" wide and two 1/4" wide push-on connector or wiring connector tabs. Connection tabs are numbered for easy identification. 24V DC 40A continuous duty SPDT Bosch type five terminal power relay. Normally open and normally closed contacts rated at 40 Amps. 1/4" wide push-on connector or wiring connector tabs. Connection tabs are numbered for easy wiring identification. 24V DC 40A continuous duty SPDT Bosch type five terminal power relay with mounting tab. Normally open contacts rated at 40 Amps. Normally closed contacts rated at 30 Amps. 1/4" wide push-on connector or wiring connector tabs. Connection tabs are numbered for easy identification. 24V DC 60A continuous duty SPDT Bosch type five terminal power relay. Normally open and normally closed contacts rated at 60 Amps. 1/4" wide push-on connector or wiring connector tabs. Connection tabs are numbered for easy wiring identification. 24V DC 60A continuous duty SPDT Bosch type five terminal power relay with mounting tab. Normally open and normally closed contacts rated at 60 Amps. 1/4" wide push-on connector or wiring connector tabs. Connection tabs are numbered for easy wiring identification. 24V DC 80A continuous duty SPDT Bosch type wide-pin five terminal power relay with mounting tab. Normally open and normally closed contacts rated at 80 Amps. Two 3/8" wide and two 1/4" wide push-on connector or wiring connector tabs. Connection tabs are numbered for easy identification. 24V DC 100A continuous duty SPDT Bosch type five terminal power relay. Normally open contacts rated at 100 Amps. Normally closed contacts rated at 75 Amps. 1/4" wide push-on connector or wiring connector tabs. Connection tabs are numbered for easy identification. 36V DC 40A continuous duty SPDT Bosch type five terminal power relay. Normally open and normally closed contacts rated at 40 Amps. 1/4" wide push-on connector or wiring connector tabs. Connection tabs are numbered for easy wiring identification. 36V DC 40A continuous duty SPDT Bosch type five terminal power relay with mounting tab. Normally open and normally closed contacts rated at 40 Amps. 1/4" wide push-on connector or wiring connector tabs. Connection tabs are numbered for easy wiring identification. 36V DC 80A continuous duty SPDT Bosch type five terminal power relay. Normally open and normally closed contacts rated at 80 Amps. 1/4" wide push-on connector or wiring connector tabs. Connection tabs are numbered for easy wiring identification. 36V DC 80A continuous duty SPDT Bosch type five terminal power relay with mounting tab. Normally open and normally closed contacts rated at 80 Amps. 1/4" wide push-on connector or wiring connector tabs. Connection tabs are numbered for easy wiring identification. 36V DC 80A continuous duty SPDT Bosch type wide-pin five terminal power relay with mounting tab. Normally open and normally closed contacts rated at 80 Amps. Two 3/8" wide and two 1/4" wide push-on connector or wiring connector tabs. Connection tabs are numbered for easy identification. 48V DC 80A continuous duty SPDT Bosch type five terminal power relay. Normally open and normally closed contacts rated at 80 Amps. 1/4" wide push-on connector or wiring connector tabs. Connection tabs are numbered for easy wiring identification. 48V DC 80A continuous duty SPDT Bosch type five terminal power relay with mounting tab. Normally open and normally closed contacts rated at 80 Amps. 1/4" wide push-on connector or wiring connector tabs. Connection tabs are numbered for easy wiring identification. 48V DC 80A continuous duty SPDT Bosch type wide-pin five terminal power relay with mounting tab. Normally open and normally closed contacts rated at 80 Amps. Two 3/8" wide and two 1/4" wide push-on connector or wiring connector tabs. Connection tabs are numbered for easy identification. 60V DC 60A continuous duty SPDT Bosch type five terminal power relay. Normally open and normally closed contacts rated at 60 Amps. 1/4" wide push-on connector or wiring connector tabs. Connection tabs are numbered for easy wiring identification. 60V DC 60A continuous duty SPDT Bosch type five terminal power relay with mounting tab. Normally open and normally closed contacts rated at 60 Amps. 1/4" wide push-on connector or wiring connector tabs. Connection tabs are numbered for easy wiring identification. 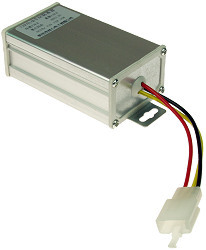 60V DC 80A continuous duty SPDT Bosch type wide-pin five terminal power relay with mounting tab. Normally open and normally closed contacts rated at 80 Amps. Two 3/8" wide and two 1/4" wide push-on connector or wiring connector tabs. Connection tabs are numbered for easy identification. 72V DC 60A continuous duty SPDT Bosch type five terminal power relay. Normally open and normally closed contacts rated at 60 Amps. 1/4" wide push-on connector or wiring connector tabs. Connection tabs are numbered for easy wiring identification. 72V DC 60A continuous duty SPDT Bosch type five terminal power relay with mounting tab. Normally open and normally closed contacts rated at 60 Amps. 1/4" wide push-on connector or wiring connector tabs. Connection tabs are numbered for easy wiring identification. 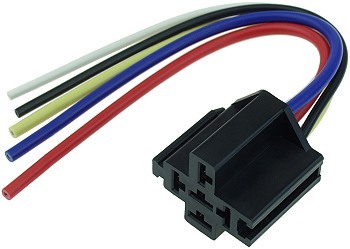 Five terminal wiring connector socket with harness for Bosch type relays with 1/4" wide connection tabs. Three 16 gauge wires for the relay contacts and two 18 gauge wires for the relay coil. Wires are 5" long. 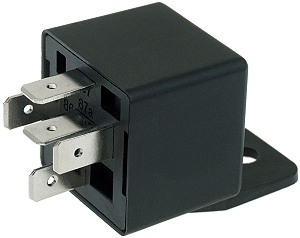 Interlocking feature allows two or more of these relay connectors to slide together and attach to each other. Fits all standard Bosch type relays available on this page. 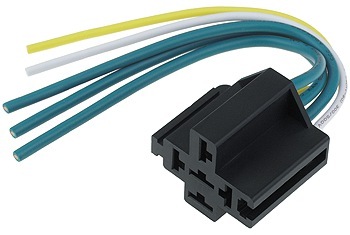 Five terminal wiring connector socket with harness for Bosch type relays with 1/4" wide connection tabs. Three 14 gauge wires for the relay contacts and two 18 gauge wires for the relay coil. Wires are 6" long. 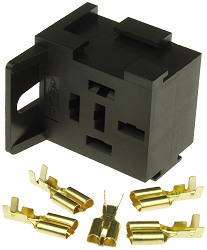 Interlocking feature allows two or more of these relay connectors to slide together and attach to each other. Fits all standard Bosch type relays available on this page. Five terminal wiring connector socket for Bosch type relays with 1/4" wide connection tabs. 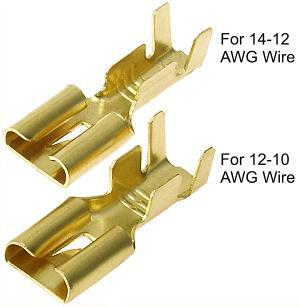 Crimp or solder on brass wire terminals for 14 through 12 AWG wire. This connector fits all Bosch type relays available on this page. Interlocking feature allows two or more of these relay connectors to slide together and attach to each other. Terminals are compatible with CRM-85 and CRM-87 crimping tools. Five terminal wiring connector socket with mounting tab for Bosch type relays with 1/4" wide connection tabs. Crimp or solder on brass wire terminals for 14 through 12 AWG wire. 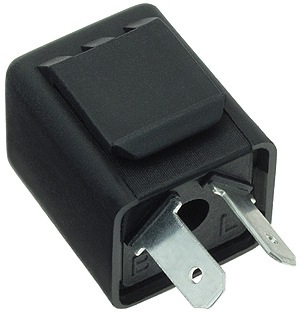 This connector fits all Bosch type relays available on this page. Interlocking feature allows two or more of these relay connectors to slide together and attach to each other. Terminals are compatible with CRM-85 and CRM-87 crimping tools. Extra 1/4" tab terminals for relay wiring connector sockets sold above. Terminals are compatible with CRM-85 and CRM-87 crimping tools. 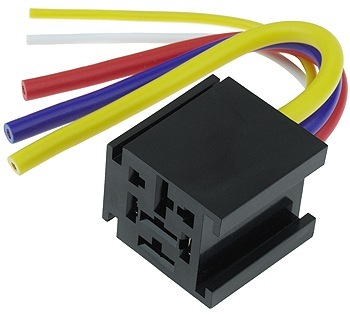 Five terminal wiring connector socket with harness for Bosch type wide-pin relays with two or three 3/8" wide and two 1/4" wide connection tabs. Three 12 gauge wires for the relay contacts and two 18 gauge wires for the relay coil. Wires are 5" long. 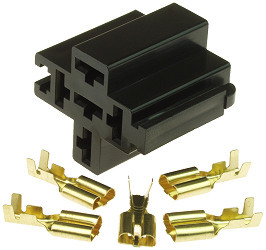 Interlocking feature allows two or more of these relay connectors to slide together and attach to each other. 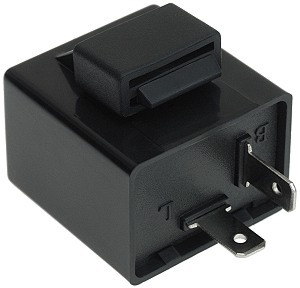 Fits all wide-pin Bosch type relays available on this page. Five terminal wiring connector socket for Bosch type wide-pin relays with two or three 3/8" wide and two 1/4" wide connection tabs. Two 1/4" crimp or solder on brass terminals for 14 through 12 AWG wire and three 3/8" crimp or solder on brass terminals for 12 through 8 AWG wire. 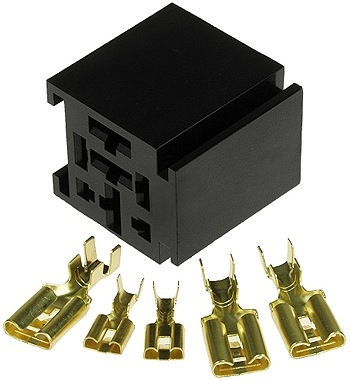 This connector fits all wide-pin relays available on this page. 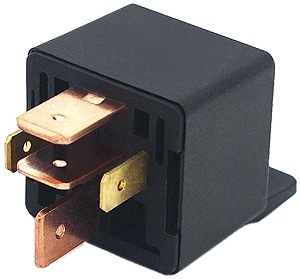 Interlocking feature allows two or more of these relay connectors to slide together and attach to each other. Terminals are compatible with CRM-85 and CRM-87 crimping tools. 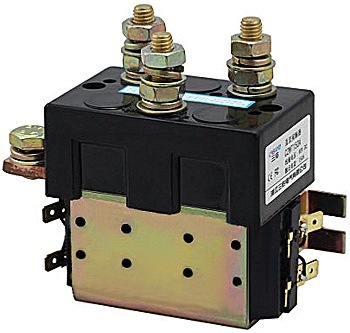 A power contactor is a large and powerful high capacity relay. 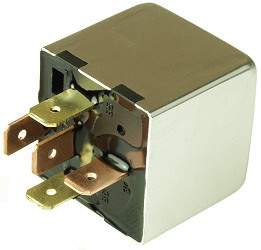 Power contactors are often referred to simply as contactors. 24 Volt DC 150 Amp continuous duty motor reversing contactor. This contactor applies electronic braking to the motor when it is in between forward and reverse positions which helps prevent reverse current damage to the controller in the event of accidentally switching directions when the vehicle is in motion and provides a parking brake when needed. 1/4" wide push-on spade terminals for the coils and 8mm (5/16") posts and bolt for the contacts. 36 Volt DC 150 Amp continuous duty motor reversing contactor. 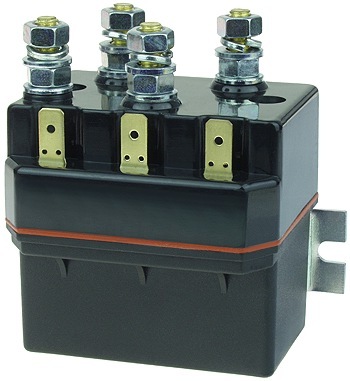 This reverse contactor has non-load make or break rated contacts so it needs to be used with a speed controller and the vehicle should be stopped before switching between forward, park, and reverse directions. This contactor applies electronic braking to the motor when it is in between forward and reverse positions which helps prevent reverse current damage to the controller in the event of accidentally switching directions when the vehicle is in motion and provides a parking brake when needed. 1/4" wide push-on spade terminals for the coils and 6mm (1/4"") posts for the contacts. Dimensions including mounting tabs and terminals are 3-1/8" wide x 2-1/4" deep x 3-1/4" high. 48 Volt DC 150 Amp continuous duty motor reversing contactor. This contactor applies electronic braking to the motor when it is in between forward and reverse positions which helps prevent reverse current damage to the controller in the event of accidentally switching directions when the vehicle is in motion and provides a parking brake when needed. 1/4" wide push-on spade terminals for the coils and 8mm (5/16") posts and bolt for the contacts. 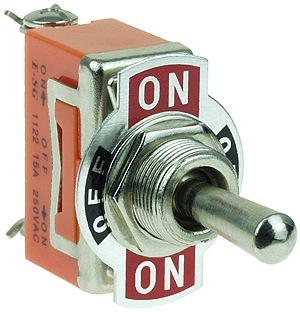 Toggle type on-off-on SPDT 3-terminal power switch for electric scooters, bikes, go-karts, beach carts/wagons. 15 Amp rating. Maintained switch stays in the position it is switched to. Mounts in a 12mm or 1/2" diameter hole. Ring terminal or solder connection terminals on back side of switch. Compatible with #4 ring terminals. Includes installation hardware. Handlebar mounted water resistant on/off/on switch made from anodized machined aluminum billet. 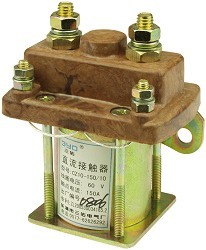 Maintained rocker switch commonly used in conjunction with a reverse contactor for forward-park-reverse switching applications. Can be mounted with the switch above or below the handlebar. 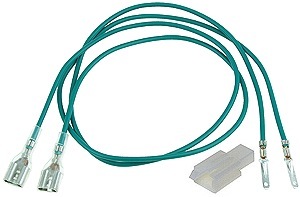 78" long heavy-duty 1/4" OD cable with three 18 gauge wires. Fits standard 7/8" (22mm) electric scooter and bicycle handlebars. 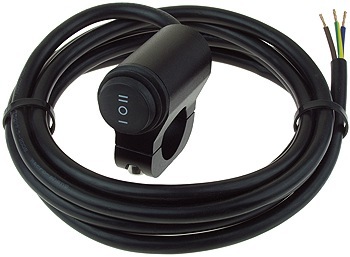 Turn signal flasher relay rubber mounting hanger. 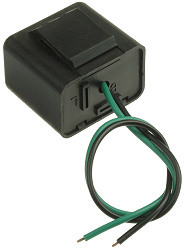 Compatible with all square and rectangular turn signal flasher relays sold on this page. 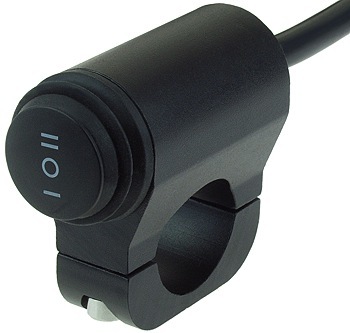 Turn signal flasher relay with built-in mounting clip for electric scooters, bikes, and pocket bikes with 12 Volt lighting systems. Works with both incandescent and LED bulbs. Built-in electronic beeper sounds when the turn signals are blinking. 1/4" wide tab terminals for push-on connectors. Dimensions of flasher are 1" x 1" x 1-1/8" excluding terminals. Turn signal flasher relay for electric scooters, bikes, and pocket bikes with 12 Volt lighting systems. Works with both incandescent and LED bulbs. Built-in electronic beeper sounds when turn signals are blinking. 1/4" (6.3mm) wide tab terminals for push-on connectors. 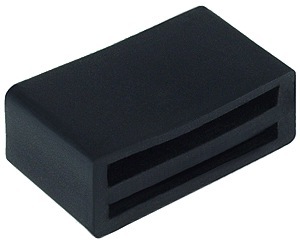 Dimensions of flasher are 1-1/4" x 1-5/8" excluding terminals and rubber mounting band. Turn signal flasher relay for electric scooters, bikes, and pocket bikes with 12 Volt lighting systems. Works with both incandescent and LED bulbs. Silent flasher without beeper. 1/4" (6.3mm) wide tab terminals for push-on connectors. Dimensions of flasher are 1-3/8" x 1-3/8" x 1" excluding terminals and mounting tab. 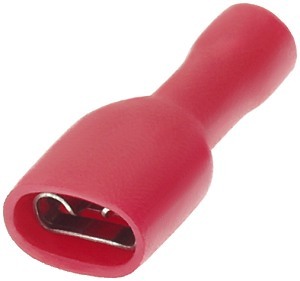 Includes rubber mounting tab connector. Turn signal flasher relay for 24 Volt electric scooters, bikes, and pocket bikes. Works with both incandescent and LED bulbs. Built-in electronic beeper sounds when the turn signals are blinking. 1/4" wide tab terminals for push-on connectors. Dimensions of flasher are 1" x 1" x 1-1/8" excluding terminals. Turn signal flasher relay for 24 Volt electric scooters, bikes, and pocket bikes. Works with incandescent bulbs. Built-in electronic beeper sounds when the turn signals are blinking. Turn signal flasher relay for 48 Volt electric scooters, bikes, and pocket bikes. Works with both incandescent and LED bulbs. Built-in electronic beeper sounds when the turn signals are blinking. 1/4" wide tab terminals for push-on connectors. Dimensions of flasher are 1" x 1" x 1-1/8" excluding terminals. Turn signal flasher relay for 36 Volt electric scooters, bikes, and pocket bikes. Works with incandescent bulbs. Built-in electronic beeper sounds when the turn signals are blinking. Turn signal flasher relay for 48 Volt electric scooters, bikes, and pocket bikes. Works with both incandescent and LED bulbs. Built-in electronic beeper sounds when the turn signals are blinking. 1/4" wide tab terminals for push-on connectors. Dimensions of flasher are 1" x 1-1/8" x 1-1/8" excluding terminals. 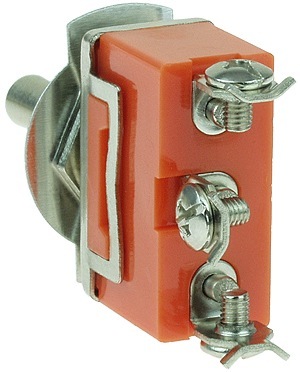 Crimp-on insulated 1/4" tab terminal female connector for 18-22 gauge wire. 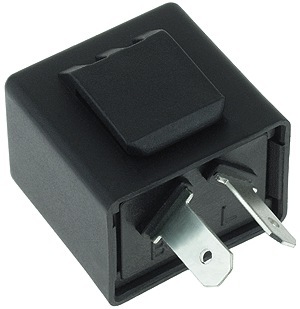 Turn signal flasher relay socket connector. Includes crimp or solder on terminals for 18-22 gauge wire. Terminals are compatible with CRM-85 or CRM-87 crimping tool. Turn signal flasher relay harness. 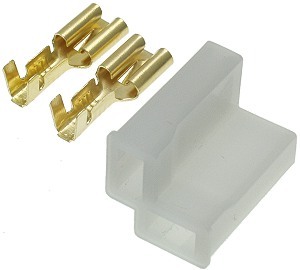 1/4" tab terminal female connectors with clear vinyl covers for relay and 2.8mm male terminals with white 2-terminal connector for scooter or bike. At Electric Scooter Parts we sell power relays, power relay connector sockets, power solenoids, turn signal flasher relays, and DC to DC power converters for electric scooters, electric bicycles, electric pocket bikes, electric go karts and all other types of small electric vehicles. 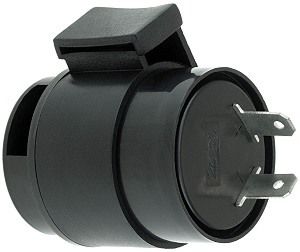 We offer a wide selection of 12 Volt, 24 Volt, 36 Volt, 48 Volt, 60 Volt, and 72 Volt DC relays and accessories.